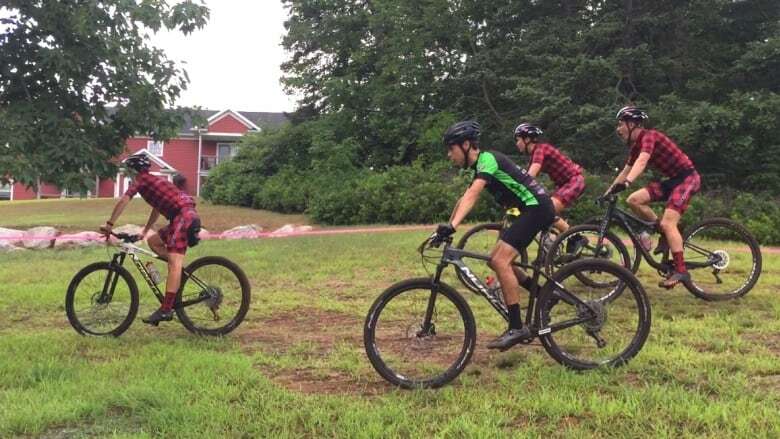 Top Canadian mountain bikers pedal through Kentville, N.S. Some of the 200 people registered for the Canada Cup mountain bike race are competing to qualify for the Olympics. 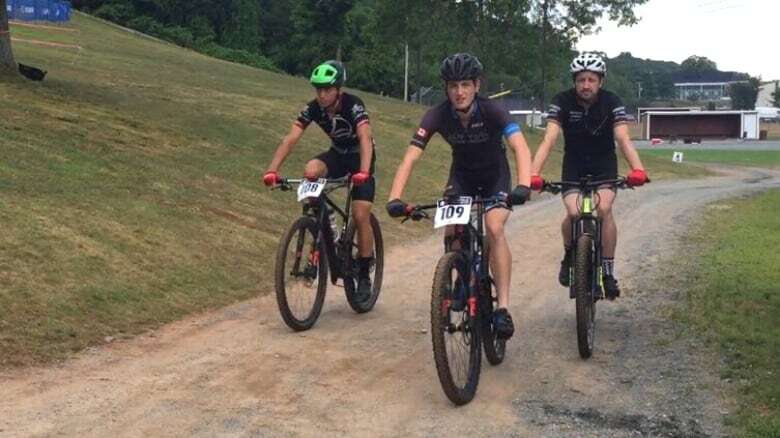 Canada's top mountain bikers are in Kentville, N.S., this weekend for the Canada Cup race and some are competing to qualify for the Olympics and world championships. About 200 people registered for the event, which started Saturday and will conclude with an elite race Sunday. It's the first time Kentville is hosting the event. 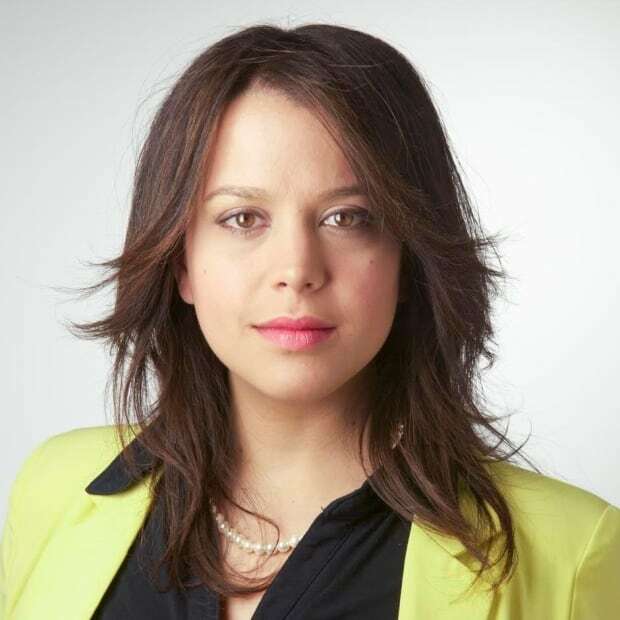 "It's super exciting, people that are watching are having a great time," said Lindsay Young, community and economic development coordinator for the Town of Kentville. "You don't have to be interested in mountain biking or be a mountain biker in order to enjoy this. The athleticism that these folks have and that they're demonstrating is really amazing and really, really, cool to watch." The race is held on The Gorge, part of the parks and trails in Kentville. It's 26 hectares of natural woodland and the route the bikers are taking is about five kilometres. Brody Sanderson of AWI Racing from Barrie, Ont., took a practice ride through The Gorge Saturday in preparation for the elite race Sunday. He said there were a couple of drops in the trail he wasn't expecting, but he enjoyed it. "It's a cool mix of flow and technical. So you're able to carry a lot of speed but you have to be cautious of where you are at the same time," said Sanderson, who was the Canadian U19 champion in 2017. Sanderson said he is hoping to qualify for the world championships being held in Switzerland this year. Andrew L'Esperance​, a cyclist from Halifax with Olympic aspirations, said he's happy the Canada Cup is being held close to home. Cyclists riding through the trails Saturday endured some very hot, humid weather and intense rain. "I think everyone enjoyed the little bit of rain," said L'Esperance. "And I don't think it will affect the course too much, so we'll be good to go."